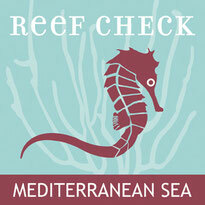 TRUE AND FALSE BLACK CORALS OF THE MEDITERRANEAN SEA - Welcome on Reef Check Mediterranean Sea! In recent years, the development of new diving technologies has made it possible to dive deeper in what is defined as the mesophotic area or “twilight zone”- the deeper half of the photic zone, namely the zone between where solar radiation still penetrates and the point at which it disappears. 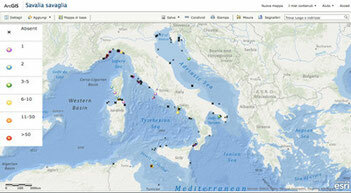 The mesophotic zone of the Mediterranean Sea is one of the most interesting areas of research. Due to advances in technical diving which allow divers to stay at great depths for long periods of time, scientists and underwater photographers have made extraordinary discoveries. Among the most well-known organisms accessible at such depths are the true and the false black corals. Both belong to the subclass Hexacorallia, with the only other common characteristic being the production of a hard layered proteinaceous skeleton of black color. True black corals, order Antipatharia, are very common in tropical seas. Many scuba divers, who dived in such waters, even at shallow depths, have had the opportunity to observe real forests of this coral. As for the Mediterranean black coral species, the situation is somewhat different for two main reasons: the lack of knowledge about their distribution and the deep depths at which they grow, usually at over 50 metres. There are just a few well known localities along the Italian coasts where you can find long stretches of black corals. The most well known are documented off the coasts of Calabria, lying between 50 and 100 metres. Several species of black corals are known, the most common in the Mediterranean is Antipathella subpinnata.Upon observing a colony of black coral, what is most evident is that its appearance contrasts sharply with its name. It is, in fact, white in color, due to the polyps and the material that produces the lining of the skeleton, both of whitish color. Just below the outer layer of the living tissue is a thorny skeleton of black color. It consists of a series of concentric laminar layers, based on a protein substance called antipathin. Counting the polyp’s tentacles, which are never able to retract completely, there are always six and arranged all along the branches. 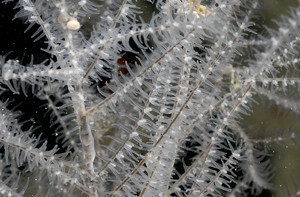 Very different are the features of what is called false black coral, a Hexacorallian too, but with the number of tentacles being a multiple of six. Its name is Savalia savaglia and it belongs to the family Zoanthidae. The main similarity of S. savaglia with true black coral is only the color of the axial skeleton, in both cases black, while the density is different. 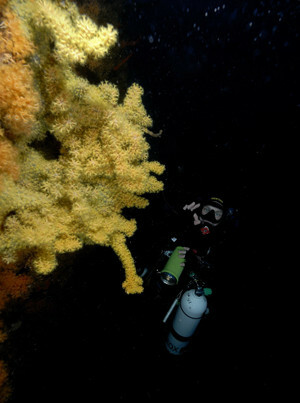 The possibility of confusing this species, though, increases greatly when compared with the yellow variety of the gorgonian Paramuricea clavata. 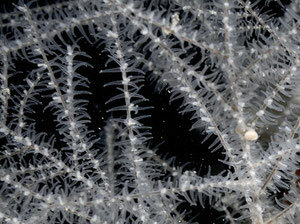 The appearance is very similar, mainly because the lifeform is the same as the gorgonian, of which it’s a parasite. 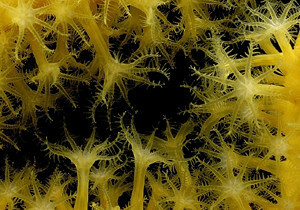 The polyps of S. savaglia attack ramified organisms, overlying them completely, and assuming their form. A more careful observation, however, highlights that the gorgonian’s polyps are not only smaller, but counting tentacles it is easy to note that their number is always eight and they appear hairy as if they were feathers. 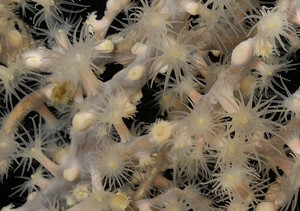 S. savaglia's polyps, are instead much bigger and have around thirty tentacles which are not hairy looking. Very big colonies of S. savaglia, with an estimated age of more than 1000 years, have been found in some sites of the Tremiti Islands, from which these images come. True and false black corals have both been heavily exploited in order to make jewellery. For this reason, they have been included on many lists of protected or endangered species. S. savaglia is a species included in the CEM protocol of Reef Check Italy. Knowing its distribution- at the present moment, fragmented and uncertain- it’s important to better understand its biology and ecology, of which still very little is known. 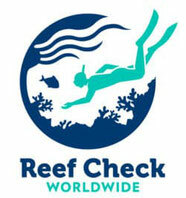 Observations sent in by Reef Check Italy volunteers are contributing efficiently to this purpose. 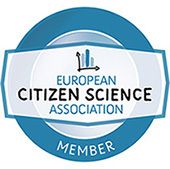 Thanks to them, anyone interested in deepening their knowledge of this species may use this essential source of information, found at http://www.progettomac.it/rciwebgis.asp.